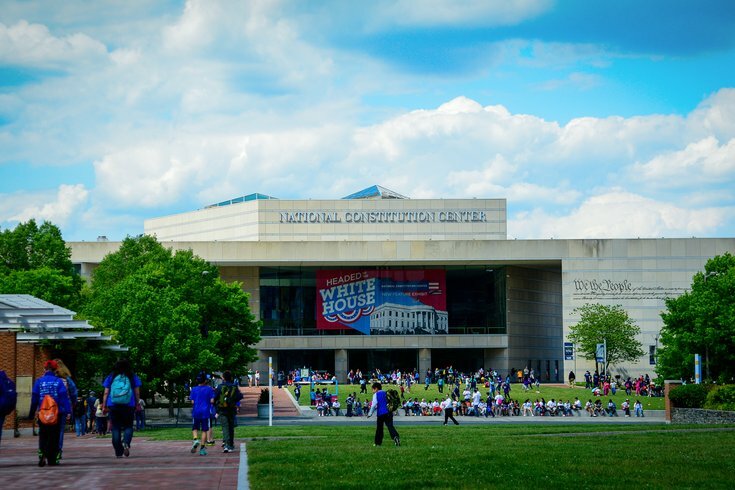 The world’s only museum dedicated to the U.S. Constitution, the National Constitution Center puts into historical context the most famous four pages ever written through multimedia exhibitions, sculpture, film, artifacts and interactive displays. In Signers’ Hall, visitors walk among the life-sized statues of the 39 signers of the Constitution. Looking to continue arming the public with historical information, a Philadelphia non-profit organization handed out nearly $2 million in grants to four local institutions. On Tuesday, Pew Charitable Trusts awarded the Independence Visitor Center, the National Constitution Center, the Hagley Museum and Library and American Philosophical Society a total of $1.8 million. “These investments build on Pew’s legacy of supporting distinguished institutions that are dedicated to promoting the rich cultural and historical heritage of the region and the nation. We are pleased to support their important contributions,” said Frazierita Klasen, Pew vice president. Pew representatives said the foundations were selected because they are "working to inform the public about the history of the nation’s democracy and the enduring contributions of American enterprise and innovation." The Independence Visitor Center, which will receive $500,000 over three years, will enhance visitor experience by enabling tourists better access information to attractions. Improvements include interactive kiosks, increased seating places and expanded customer service stations. The National Constitution Center will use $500,000 over two years to create a permanent exhibit on the U.S. Civil War and the Reconstruction era. The gallery will focus on the 13th, 14th and 15th Amendments to the Constitution. The showcase will include fragments of the flag President Abraham Lincoln raised at Independence Hall in 1861 while en route to his inauguration. The Hagley Museum and Library will be awarded $500,000 over three years to expand services for businesses and trade associations. The initiative will advance research and public knowledge of American invention and entrepreneurship. The American Philosophical Society, which will spend $300,000 over three years, will present a series of forums on historical scientific developments and their impact on society. These discussions will be recorded and published online to serve as a digital resource for students.